Andrea Ressi is one of our local artists currently using a studio space offered by studios das weisse haus in Hofbauergasse 9, 1120 Vienna. 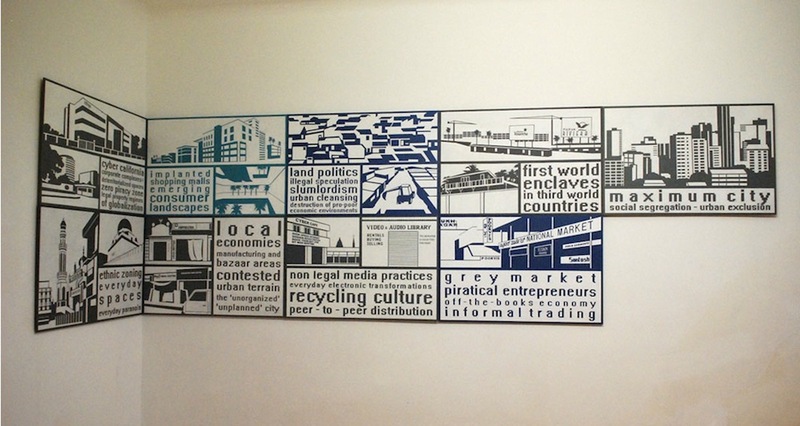 Andrea Ressi works on projects adressing urban geographies and city cartographies. 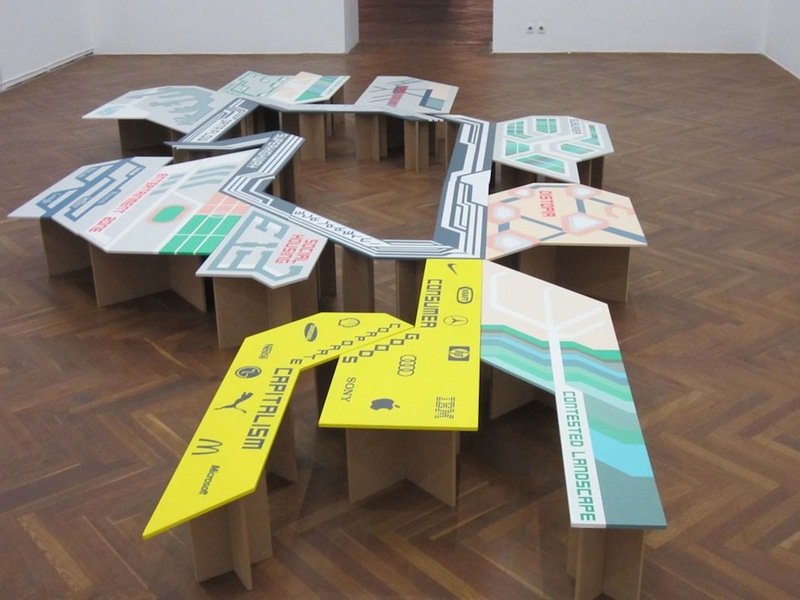 She is interested in today’s transitory spaces, Marc Augé’s idea of „non-places“, the terrains vagues of transport systems, airports, holiday resorts etc. – possible new critical territories in a globalized world. 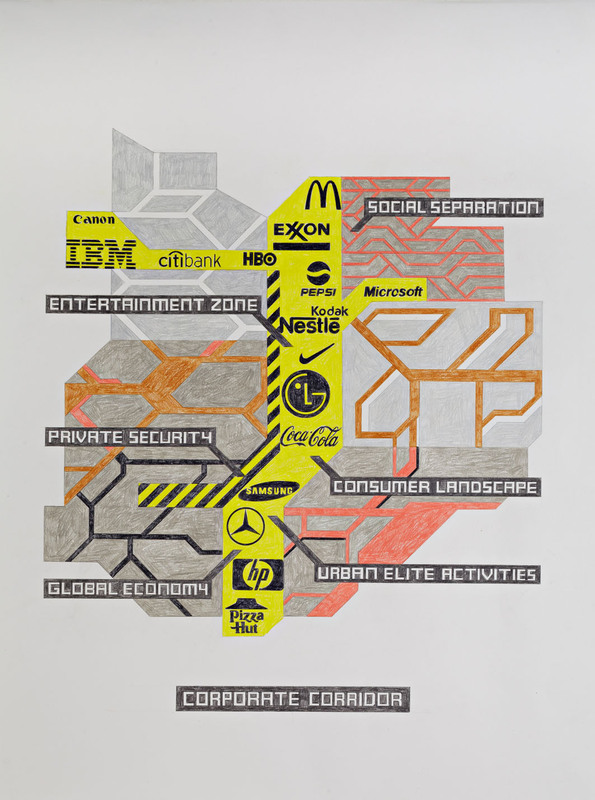 In her artistic work she uses the same image vocabulary that is affecting our ever changing perception of the contemporary world: the language of signs, logos, icons, pictograms, maps, infographics and cartographic elements. 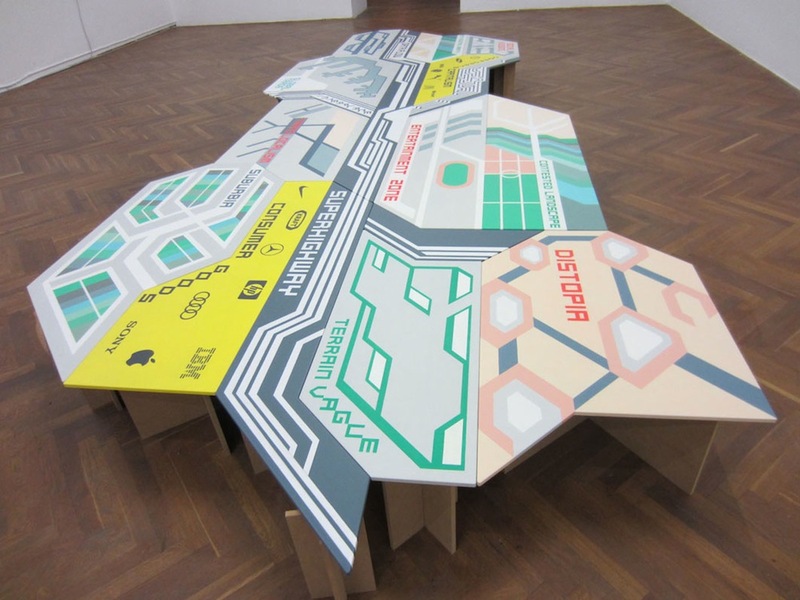 She works in various media forms such as paintings, billboards and installations in public space. 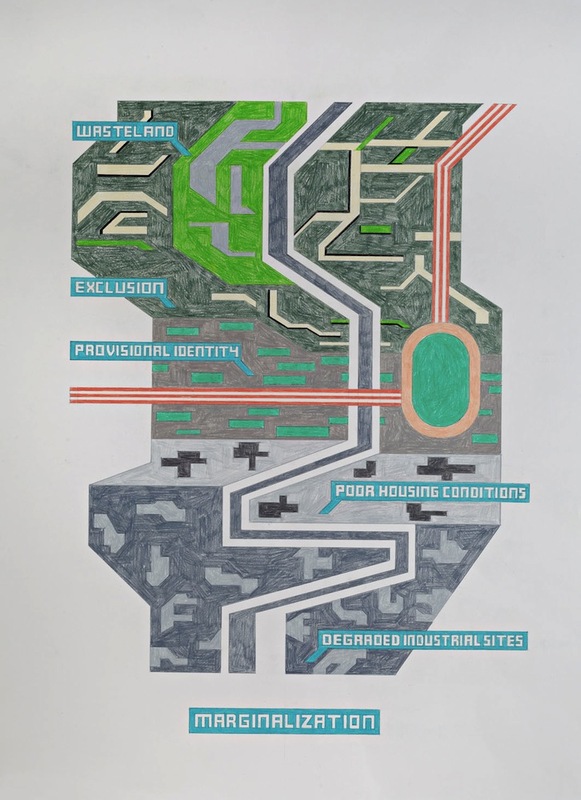 With her recent work series she aims to give a contemporary image of today’s shifting city landscapes with a focus on „micronational“ structures, self-sustaining operating entities like gated communities, special economic zones, refugee camps, entertainment zones, arrival cities and others. Born in 1970 in Graz. Lives and works in Vienna, Austria. Studied Architecture and Fine Arts at TU Graz, the Academy of Fine Arts Antwerpen, the University of East London, and the University for Applied Arts Vienna. Several Solo and Group Shows in Austria and abroad.